Our client is looking for Job Placement officer. The ideal candidate will be responsible for establishing and managing the job placement services and providing job placement support directly to project participants. An amazing opportunity for one skilled individual to work for a leader in the Beverage manufacturing and Distribution industry as a Plant Manager. responsible for supervising and developing of 20 employees. 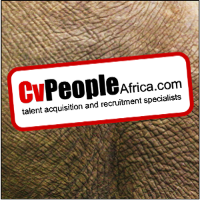 Our client is looking for the perfect candidate to join their team as the Sales manager. The main purpose of this role is to manage and develop business, servicing and ensuring customer requirements are met for desired sales target and market share attainment. An exciting opportunity for a Customer Service Officer, the main objective for this role is to update customers on the shipment clearance status etc. The ideal candidate must be able to communicate effectively and fluently in English language. Initial CVs sent. Male Candidates are encouraged to apply for Gender Balance. Our client is seeking a Mechanical Engineer with experience in food or beverage processing systems . This is an interesting post for well experienced and talented Mechanical Engineer who is able to work independently and lead all size mechanical projects and work as a team member of a larger project.